Power Brushes. Are They Really Better? Many patients have asked me over the years which power toothbrush I prefer or if I think power brushes are better than using a manual brush. It is a very important question because as most dental disease is preventable, if a power brush is more effective at removing plaque, then this should lead to less decay and less periodontal disease. While I generally have seen evidence of improved oral hygiene with the use of power brushes in my practice, I really wanted to review the research before writing a blog about this subject. The two main power brushes are the Oral-B, which uses a rotating-oscillating technology, and the Sonicare, which uses a sonic technology. As part of my research, I contacted some hygienists who are very familiar with the studies done on power brushes. I received some valuable information and links to some very good research studies. In addition, I looked at major dental websites to gather more information. Some of the research is sponsored by dental manufacturers and I didn’t want to rely on that alone. Other studies were done by independent organizations and universities. What I found was interesting. Some studies showed that one particular power brush was superior to another power brush. Most studies I looked at did show that power brushes in general were more effective than manual brushes at reducing plaque and gingivitis. All of this I did expect to see. But I did find one study that claimed no difference between a power and manual brush. This study concluded that educating patients about proper brushing technique is the most important factor in improving oral hygiene, not the type of brush used. But that study is 10 years old and much has changed in the design and features of power brushes since that time. One of the things I always have wondered about is whether power brushes are as safe as manual brushes. In other words, since so many people have recession of the gums as well as abrasion of the roots, would a power brush cause more damage to the gums and roots of the teeth? The research shows that they do not. 1) Power brushes have been shown in multiple studies to be more efficient in the reduction of plaque and gingivitis when compared to manual brushes. For patients with dexterity issues, especially arthritis, the evidence is even more clear that a power brush works best. A patient merely has to activate it and move it through the mouth and it will do the rest of the work. 2) Patients brush longer when using a power brush. This is because most have a timer, which works to get people to brush for the recommended time of 2 minutes, which is needed to do adequate plaque removal. 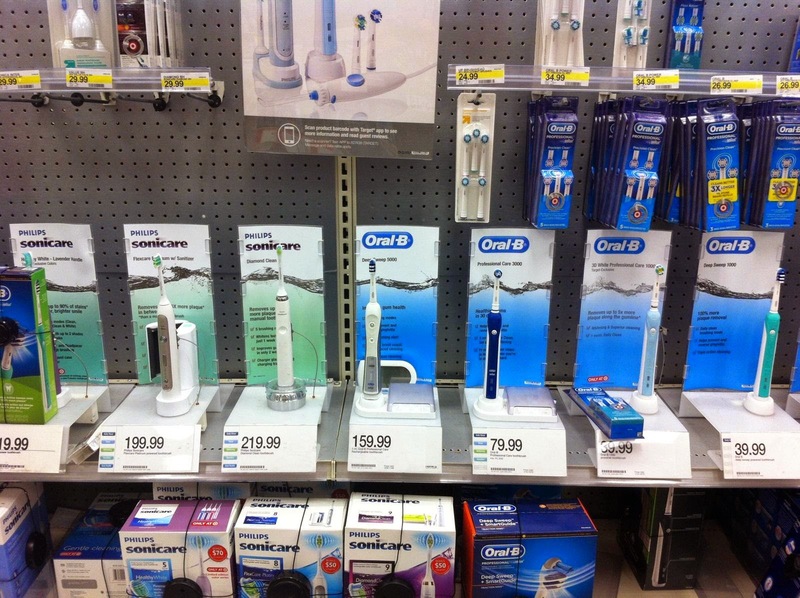 3) Some brushes like the Oral-B have a pressure sensor, which lights up when too much brushing force is used. This is an excellent feature because it prevents damage to the gum tissue and roots. 4) Some patients prefer a manual brush. They find that the vibrations of a power brush can lead to sensitivity for them, something that goes away when switching to a manual brush. This is rare and I found no research on this subject. A few of my patients have experienced this, however. I personally prefer the Oral-B to the Sonicare because of the pressure sensor, which helps prevent over aggressive brushing, a very common problem. But they are both excellent brushes and I would recommend just about any power brush that has a timer over a manual brush because it leads to longer brushing times, which in turn results in better dental health. I prefer manual brushes along with teeth cleaning done quarterly. As you may recall, I had gingivitis really bad with sizable pockets in some areas of my teeth. You sent me to see a specialist and instead I opted to try a method that I had read about . Because of your willingness to try we we're able to rid myself of the gingivitis and have continued with the same regimin of frequent teeth cleaning. If reducing gingivitis is the best we can do with electric toothbrushes then I will opt for manual and see the dentist more often. Since your initial treatment I have been able to maintain my oral health with no new or enlarged pockets ! When I go on a long trip and can't bring my power brush, I always look forward to returning to use my power brush because my teeth feel so much better afterwards. My teeth/mouth feel cleaner. The only thing I don't like in my power brush is the tickling. It seems I have a better control with the manual one where the brushing is occurring. Hi Rose, Richard Janis said, "Power brushes are not for everyone. But it has been my observation that oral hygiene will improve for most patients that use one. The research shows that as well."